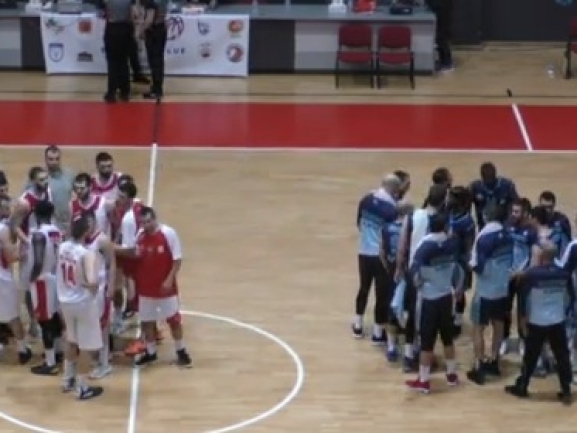 Academic Bultex 99 defeated Kozuv in Macedonia with 90:86 in the last match of the regular season in the Balkan League. The result placed Academic Bultex 99 on third place in the final standings in the Ragular season. In Gevgelija tonight, Academic was in charge from the beginning, and although there were several serious amplitudes, the end was successful for the Bulgarian team, which had good shooting percentage and was better in the paint. Kozuv tried last-gasp attacks but couldn′t make it to the end. Troy Franklin finished with 24 points and 13 assists for the victory, 17 points were added by Peter Olisemeka , and 14 by Vasil Bachev. For Kozuv Igor Kesar was the most successful with 22 points.